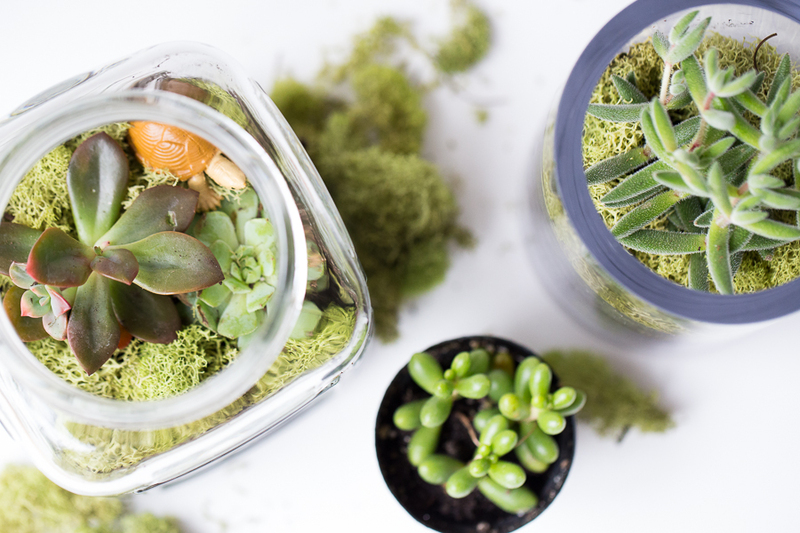 Admittedly this post is happening mainly because I just could not help but photograph these lovely little succulent terrariums we recently made. If you are following me on Instagram you may have already seen these babies. In fact I would go so far as to say I’m addicted to making them. I’ll admit I’ve spent more than one or two nap times over the last week or so working on more. They are gorgeous, fun to make and breath a little life into a hutch, bookshelf or windowsill quite nicely. I’m hopeful that they will survive (unlike most houseplants that cross our threshold). They are super easy to make and come together quite quickly once you have all your supplies. 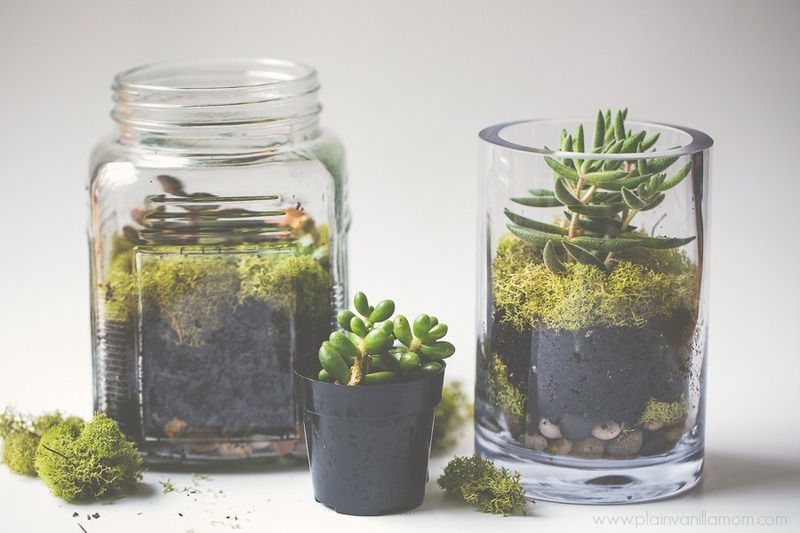 various glass containers (large mason jars/vases/glass storage containers etc. 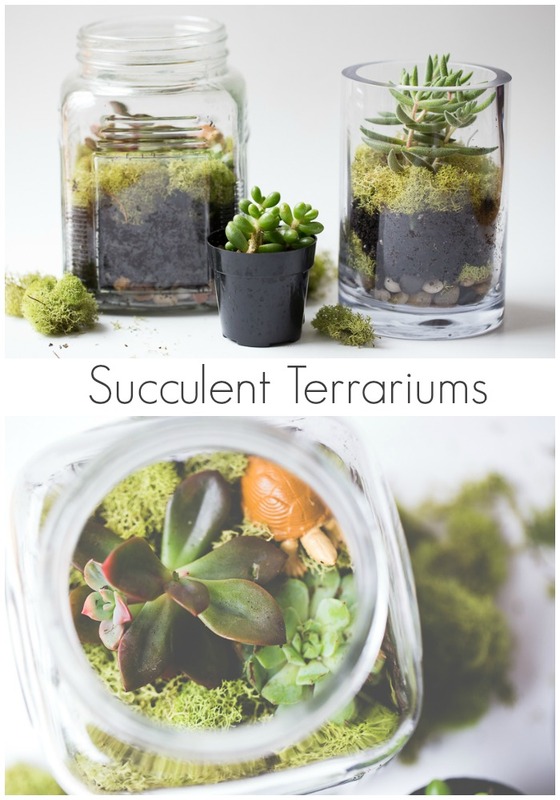 If you like more detailed instructions you can check out this post on How to Make Terrariums at Red Ted Art. I think they were the first post I saw many moons ago that put the idea in my head. It’s where I got the idea to put the little turtle in one of ours. After making the original ones you see above I couldn’t stop there. I had to try more containers. In fact I’m still scouring the house to see what I can come up with! I really like the look of the large mason jar. And that little square glass container came from the dollar store. I just can’t stop myself! We made a few as Mother’s Day gifts (albeit belated) and I think they would make a nice gift for teachers too seeing as we are creeping up on the end of the school year. 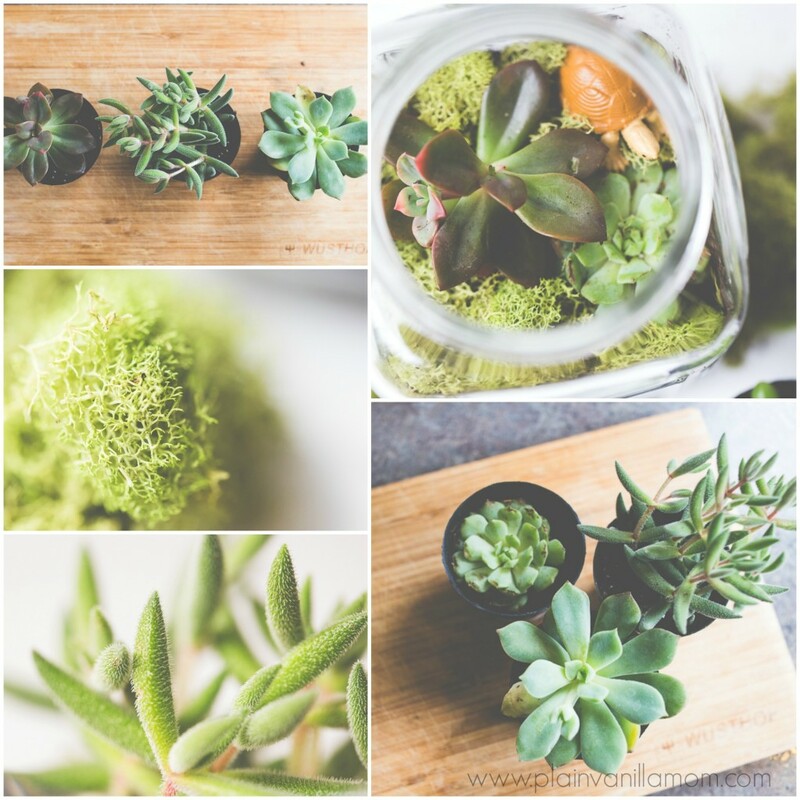 If real plants are just still not your thing you have to check out this post on DIY Potted Faux Succulents from Repeat Crafter Me. I fell in love as soon as she posted it and made a set of my own before I got brave enough to try the real thing. So what do ya think? I think I’m heading off to Lowes to replenish my supply of succulents 😉 Ta ta! Gorgeous! 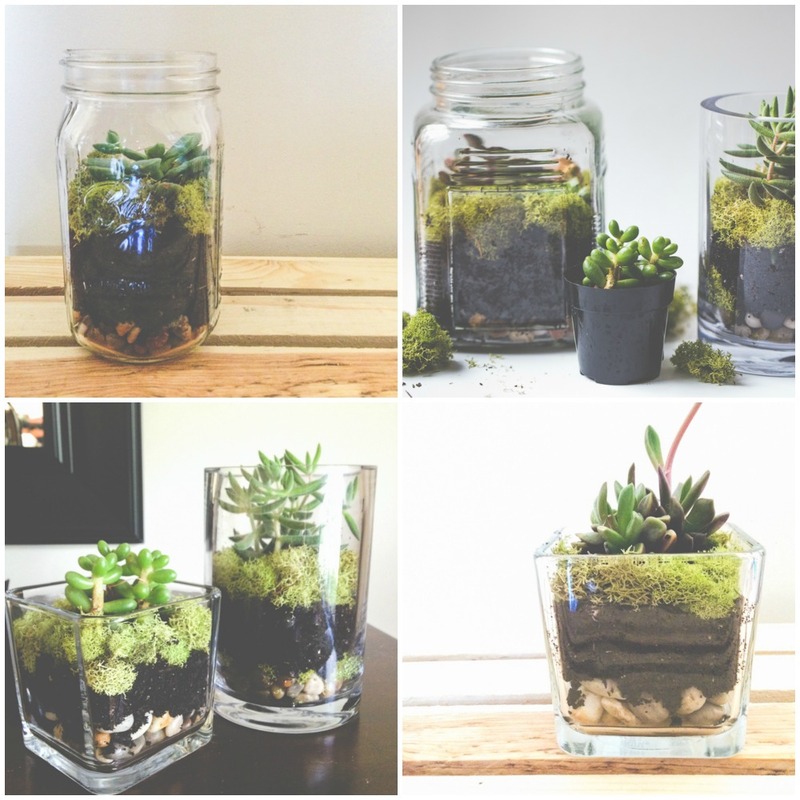 I made terrariums last year, but it was lasted for three months only. They are truly awesome and I really want to do it again. Thanks for the instructions that you have mentioned here. 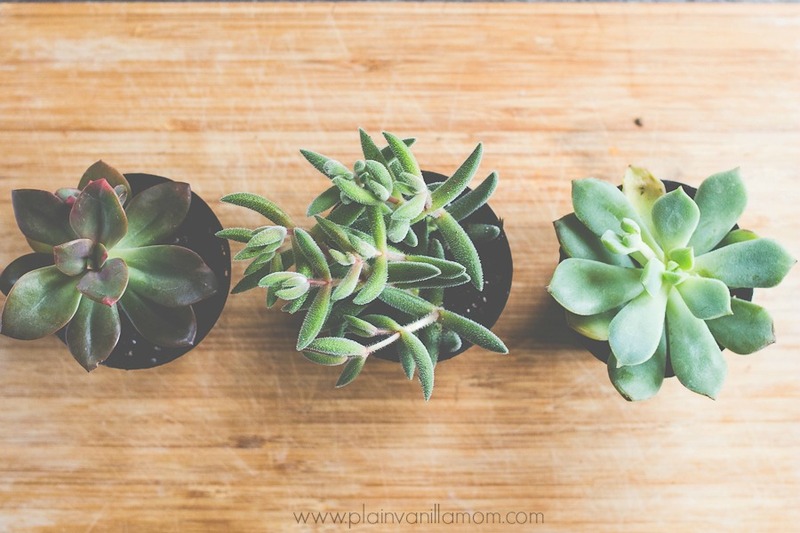 Jennifer, where do you buy these small succulents? I actually found them at Lowes!